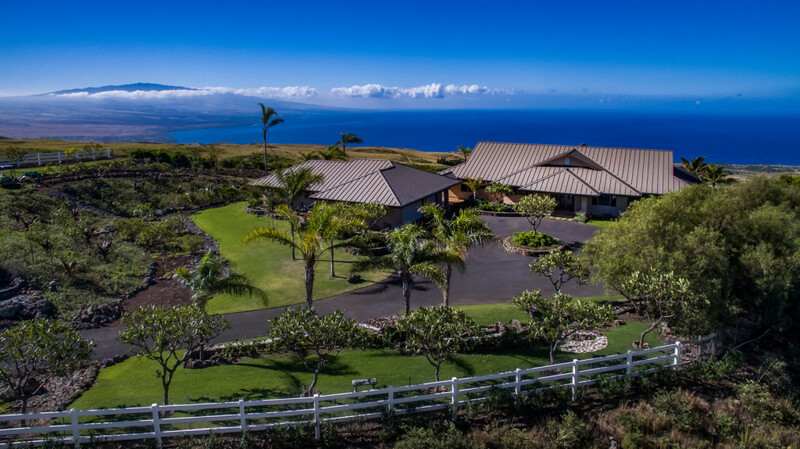 NFL Hall of Famer Terry Bradshaw has listed his nearly 12-acre estate on Hawaii's Big Island. He and his wife, Tammy, are hoping to score $2.7 million. They bought the property last year. Bradshaw, inducted into the Pro Football Hall of Fame in 1989, quarterbacked the Pittsburgh Steelers to four Super Bowl titles and has been an analyst for Fox NFL Sunday since 1994. The estate is a long way from the former Pittsburgh star's past, with a waterfall, two koi ponds, a lap pool and stunning views of the ocean and the Big Island's mountains. The main house, which has four bedrooms and 4.5 baths, boasts a great room, dining room and kitchen that open onto an expansive lanai -- Hawaiian for veranda -- with sweeping water and mountain views. A one-bedroom, one-bath guesthouse offers its own private lanai for family and friends. The listing agent is Michele Paape of MacArthur Sotheby's International Realty.